Today is Muhammad Ali's 72nd birthday. Four decades ago, after three-and-a-half years away from the ring, he was half-assedly gearing up for a title fight with the reigning champ, Joe Frazier. LIFE photographer John Shearer remembers that winter well. "I often felt bad for Joe," Shearer tells LIFE.com, recalling the weeks and months he spent with both Frazier and Ali before the March 8, 1971, "Fight of the Century" at Madison Square Garden. "He was completely miscast as the bad guy. In so many of the pictures I made of him that winter, when he's with friends and relaxed, there's something genuinely charming there — but something in his face suggests that if you scratched the surface, you'd find a world of other feelings." 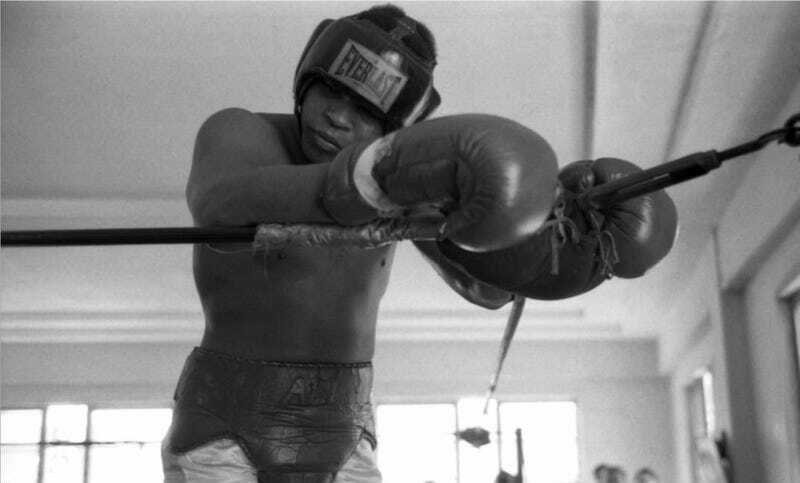 "The pictures I made of Ali training in Miami Beach, meanwhile, are incredibly revealing in another way — not least because you can see that Ali had a belly. And this was not all that long before the fight. He just wasn't in the kind of shape he needed to be in to battle a warrior like Joe Frazier." See John Shearer's photos of Ali and Frazier — most of which never ran in LIFE — made in the weeks and months leading up to their first title bout.